EXTREMELY WELL LOOKED AFTER BOAT WITH PAPERWORK TO SHOW RECENT FULL OVERHAUL OF ALL WOOD, WINDOWS, DECK, CANOPIES/COVERS & UPDATED ELECTRONICS INC NEW NAV/HELM, FLAT SCREEN TV, STOVE. NEW ENGINE 2013. The hull has been epoxy and GRP sheathed making it maintenance free. This is an outstanding example of a David Cheverton designed sailing yacht. The current owner has restored her with no expense spared. The extent of the refurbishment is second to none with the hull being fully stripped back, epoxy resined and sheathed in fibreglass. This work was carried out by a very well respected boat restorer with the inspection and survey of very well known Jonathan Jackson. The attention to detail and products used are of the highest regard and any viewing will show this on first glimpse. 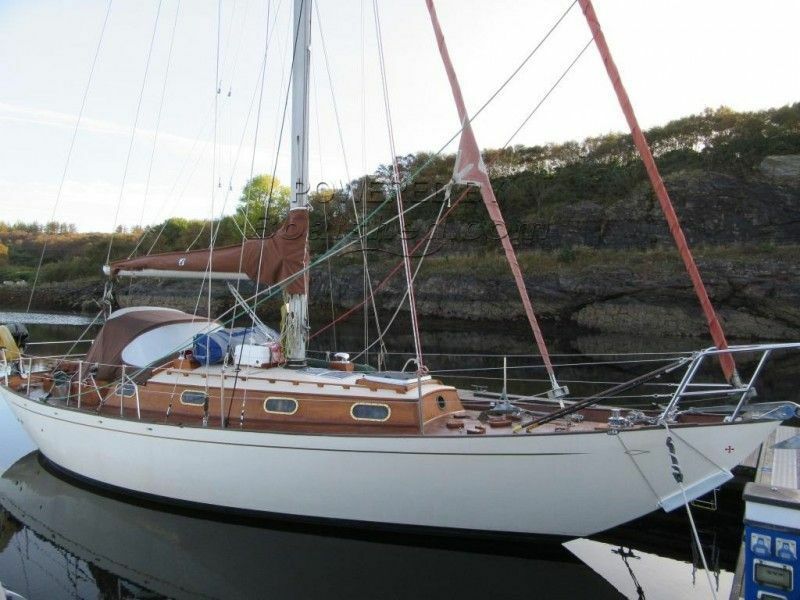 Viewing highly recommended for this yacht in sail away condition. This Cheverton 33 R J CLARK BUILT 1963 has been personally photographed and viewed by TOM SIMISTER of Boatshed Scotland. Click here for contact details. Please note this comments section is public. Please do not post your personal details here. To enquire about purchasing this boat, please contact the broker directly at tomsimister@boatshedscotland.com. Please read our commenting guidelines before posting.